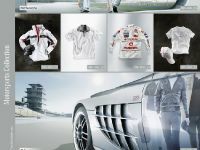 The new 2008 Mercedes-Benz Motorsports Collection is the perfect outfit for a sporty appearance at the trackside. The Collection is now available from authorised Mercedes-Benz dealers in the product categories of Formula One, Vodafone McLaren Mercedes, SLR, DTM, AMG and Accessories. 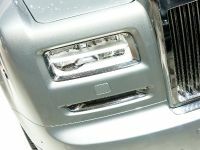 The range includes sporty and elegant clothing items for men and women, as well as high-quality sunglasses, watches and bags as useful accessories for the grandstand and driver areas – not to mention useful and beautifully designed items ranging from travel luggage and key-rings to model cars. Motorsports have traditionally played an important role for Mercedes-Benz: after all, the image of the brand has not least been shaped by the legendary Silver Arrows, the racing cars whose present-day successors are now fielded by World Vice-Champion Lewis Hamilton and newcomer Heikki Kovalainen. 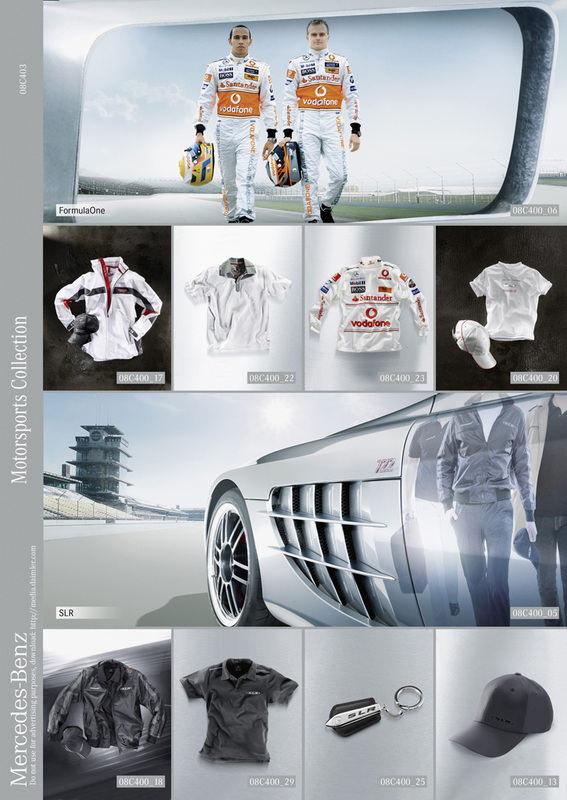 The 2008 Mercedes-Benz Motorsports Collection sets the scene just as excitingly for all lovers of motor racing: Formula-1 fans will enjoy the updated liveries of the new selection. There is a new product line for SLR enthusiasts. The "Vodafone McLaren Mercedes" range has been extended, and the DTM Collection has been adapted to the current Mercedes-Benz line-up. 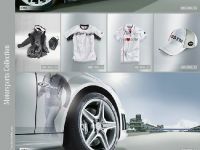 More choices are also available in the AMG and Accessories lines. 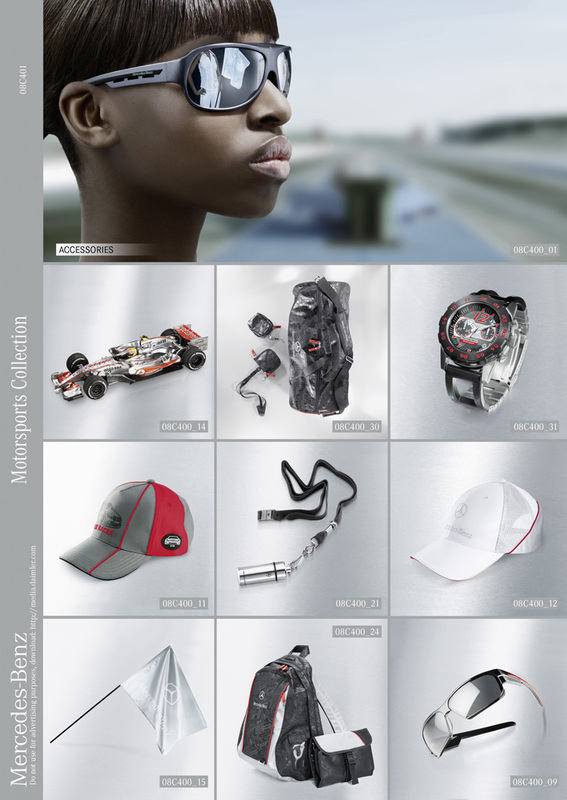 While the colour black was predominant last year, the new Formula One Collection reflects the new team style with plenty of white, various shades of grey and fine red or chrome elements. Like the comfortable Sweat Top, the sporty and elegant Knitted Pullover combines the dark-grey basic shade with coloured inserts in different tones. This discreet interplay of colours is continued in the short and long-sleeved Shirts, which are available with or without a collar. The dark-grey Tour Calendar T-Shirt with its shining silver and red imprints ensures an eye-catching appearance and also sets priorities in the racing calendar: the reverse features a globe showing all the racing events of the season. 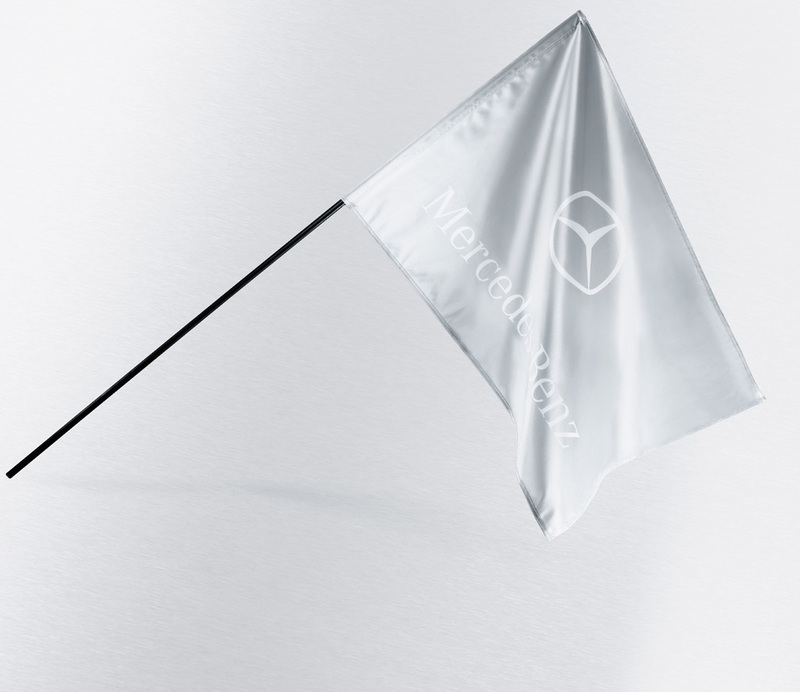 Grey and silver also provide distinctive highlights in the conventional items – and especially in combination with the basic colour white: for example the Cotton Shirt Badge, which is a stylish eye-catcher with the new Mercedes-Benz motorsports logo on the chest. The multifunctional Windbreaker in a fresh white is no less eye-catching. To ensure that this practical jacket continues to give pleasure for a long time, it has a Teflon coating which repels the wind, weather and dirt. Another useful feature is the integral pocket for a mobile phone – including a headphone connection. The dark-grey Men's Bermuda of washed cotton ensures comfort and style. The Jogging Suit consists of trousers and a vest with an upright collar. A clear affinity with the brand is signified by the black/grey Motorsports Belt with Mercedes-Benz lettering, whose similarity to the belt system used in aircraft makes it particularly quick and easy to open. The silver buckle features a three-dimensional Mercedes star. Bright fuchsia has been added to the basic colours for female motorsports fans. The padded Reversible Vest fashionably combines the new colour with shining white, and is made resistant to soiling by a special coating. The colour tones of the comfortable Wellness Suit, Scarf and soft Fleece Jacket make the perfect leisure outfit – the latter with an anti-pilling treatment which effectively prevents the fabric strands from knotting together. The partner-look is provided by the robust and practical Windbreaker, whose colours and material match those in the men's collection. Like the Neckholder Blouse and the Hooded Sweat Jacket, this has particularly attractive red, grey and silver embellishments on a white background. Another very eye-catching item is the dark-grey Neckholder Top, which features sophisticated simulated stone decorations. Basic items include the two Polo Shirts in white or dark-grey. The children's range reflects the same trends as the adult items, and is available in sizes 116–140. The range comprises various T-Shirts in grey and fuchsia, the Tour Calendar T-Shirt and a weather-resistant Rain Jacket in grey with red contrasts, which can be easily stowed away in the pocket integrated in the back. Carefree leisure time is ensured by the white UV Beach Shirt available in sizes 86–104, which keeps UV radiation away from the sensitive skin of children. A small upright collar protects the particularly vulnerable neck area. The Formula-One Kids Cap has the same protective effect for the face. And even at bedtime Mercedes-Benz provides that extra motorsports touch for the very small (sizes 68–92): the striped Pyjamas have the Formula-1 logo on the chest. 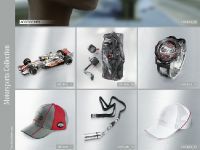 Both big and small fans can get particularly close to their Formula-1 heroes Lewis Hamilton and Heikki Kovalainen with the expanded Vodafone McLaren Mercedes collection. Perfect for the trackside, the silver Driver Overall Kids fits 3–11 year-olds (sizes S–XL) – and has original images of the current sponsor logos. During a pitstop the perfectly reproduced Team Caps and Team Shirts for children and parents are bound to attract wwwiring glances – these are available up to size XXL for men. Fathers and sons can also show their Formula-1 enthusiasm with the matching Race Longsleeve. The Formula-1 heroes can be emulated even more closely with a separate "Lewis" or "Heikki" outfit, which includes a silver-coloured Driver Cap with an original signature and a white Driver T-Shirt with signature and the British or Finnish national flag. Male fans of the Vice World Champion can also opt for the Driver Poloshirt Lewis, which features an upright collar and zip closure. 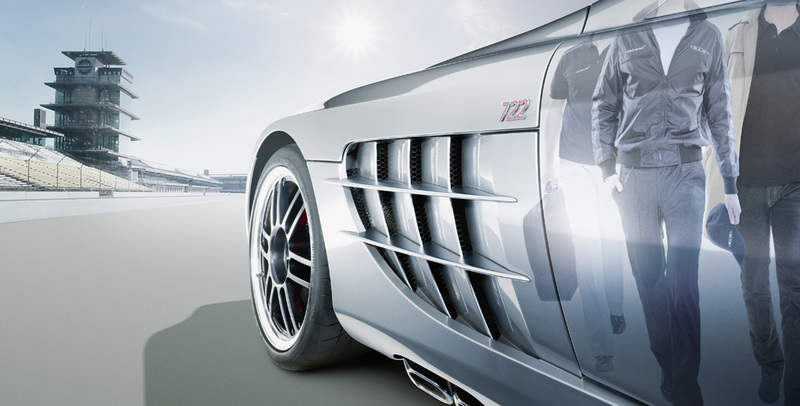 The number "722" has a special significance for automobile enthusiasts: at the Mille Miglia in 1955 racing legend Stirling Moss, driving a Mercedes-Benz 300 SLR with the starting number 722, won an unforgettable victory. 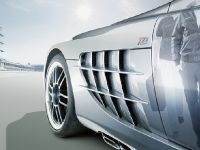 The number stands for the starting time of 7:22, and is the theme of the sporty and stylish SLR product line named "Driver's". The black, blouson-style SLR Driver's Jacket presents the 722 in flaming red on the shoulder area, for example. On the Driver's Poloshirt this famous number is integrated into the lower edge of the sleeve. The Driver's Cap with grey stripes and embroidered brand logos completes the outfit. 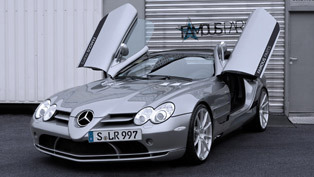 The special carbon-fibre look of the SLR Premium product line emphasises the dynamism of this super-sportscar. The ideal companion for a weekend trip is the 60 x 43 x 16-centimetre SLR Case with its high-quality carbon-look inner lining. A black metal closure provides a corresponding design highlight on the SLR Cap, which is matched by the SLR Poloshirt of cotton pique. On cooler days the lightweight and practical SLR Softshell Jacket is a good idea: its innovative mesh lining ensures the best possible cold-to-heat transfer. With a maximum water column of 8000 millimetres, the weave keeps the wearer dry even in the rain. The SLR Leather Key-ring with an extended brass emblem on black cow's leather is instantly recognisable for other car fans. The black T-Shirt Star in the current DTM collection can claim to be a real design leader, with the Mercedes star on the chest as a real eye-catcher. 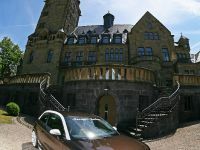 The Mercedes-Benz lettering and the large image of a DTM car are further highlights in line with the brand theme "The star always shines from above". 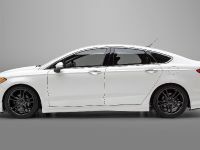 The white T-Shirt and the black-and-white DTM Cap are real collector's items: the two-tone imprint of the vehicle silhouettes and the DTM logo signal true identification with the brand and real motorsports enthusiasm. Wind and weather are no problem for the extremely lightweight, thermally insulated Vest in black. 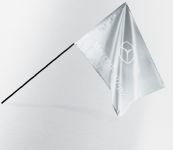 This can be folded together to very small dimensions in the bag which is also supplied. All this is missing to complete this sporty outfit is the Rugby Shirt of the same colour, with a white collar and button facing. Other items ideal for the great outdoors are the windproof Windbreaker , the Longsleeve with a DTM vehicle imprint in XXL size, the Poloshirt and the T-Shirt Team in the characteristic DTM style. 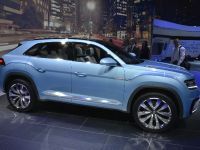 Unusual design features are the order of the day for female fans: the summery Top in white bears a heart and a "radiator grille" in a shimmering red chrome-look on the chest – a feminine interpretation of the typical Mercedes front end. Hearts are also the theme of the Poloshirt and DTM Cap , while the DTM Top and Baseball cap DTM Susie with their "Go Susie!" imprint show support for the Scottish female DTM driver Susie Stoddart. Friends of the AMG Performance cars are not left out either. The characteristic diamonds in the AMG logo are an attractive design feature, for example on the T-Shirt Kids – in this case with a shining chrome imprint – and the AMG Cap Kids in light and dark grey. Thanks to its breathable, anti-bacterial material the grey/black T-Shirt Function ensures a comfortable feeling even on exciting race days. The Softshell Jacket with its 4-way stretchable membrane and fleece lining is a good choice for highly practical all-weather protection. Practicality is also the watchword for the white Lady's Poloshirt and the slight waist, silver-grey Lady's Fleece Jacket with an embroidered tone-in-tone logo – available for men in black/grey. 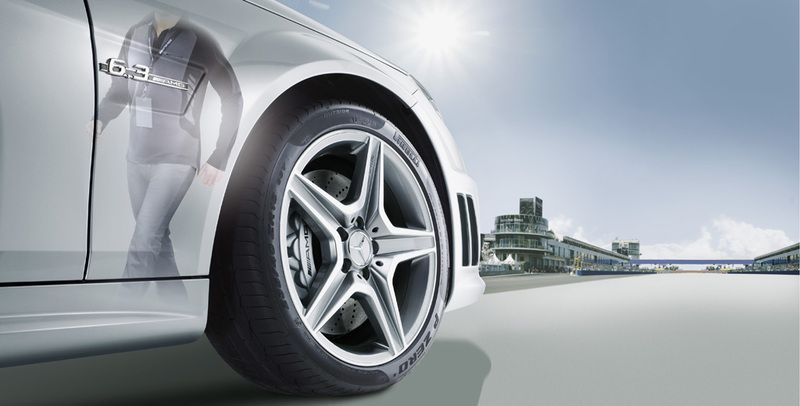 The metal AMG Key-ring, AMG Lanyard and AMG Cap are practical travel accessories at any time. 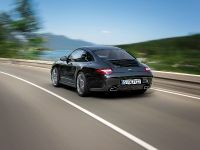 There are numerous accessories to give the finishing touches to the sporty outfit, and these soon become indispensable. For example the Sunglasses, with their injection moulded frames in metallic anthracite and dark-tinted lenses, which ensure UV protection and a dazzle-free view at all times. A version with a black frame and a red/silver contrasting design is available as an alternative. On shorter or longer trips, the spacious Sports and Travel Bag shows how much it can accommodate. 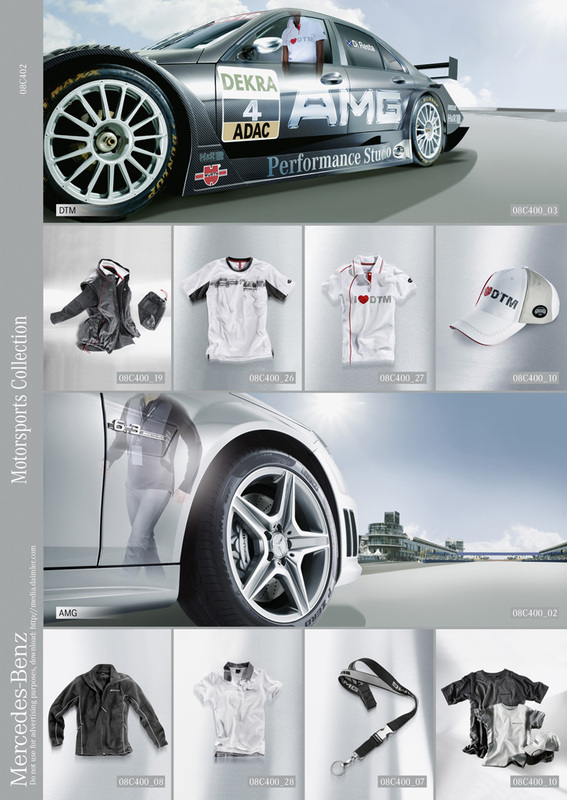 Another eye-catching feature is its all-over print showing numerous motifs from the motor racing world: tyres, cars, flags – the Mercedes-Benz motorsports design is a sure sign of the true racing enthusiast. The same design is used on the Rucksack with a removable accessory bag, the Wallet with a practical belt strap, the Multimedia Bag with a key-ring, snap swivel and mobile phone attachment, the Key-ring and the Cap Motorsport Style. A wide range of Caps, Flags, signal-red Earplugs and water/dirt repellent Guest and Collapsible Umbrellasround off the choices for an enjoyable day at the racetrack. Those who want to be on time for every start will find an exclusive range of motorsports watches available. The Men‘s Chrono Motorsports Watch, produced as a limited edition of 1000 examples, will not only make the hearts of collectors beat faster. 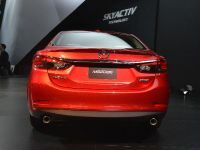 Eye-catching features include the instrument-look metal inserts and the red elements on the metallic black face. Red and black, the emblematic motorsports colours, also predominate on the other stylish timepieces: the Unisex Motorsports Fan Watch, the Men‘s Motorsports Watch and the Unisex Digital Quartz Watch. Elegant writing utensils also feature the characteristic colours of the motorsports world. Two Ballpoint Pens – models with a push-button and rotary mechanism, are highly attractive options with shining chrome and red inserts. 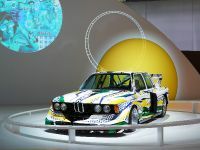 The model cars in the 2008 Motorsports Collection bring racing thrills straight back to life. The cars in the C-Class DTM range are true 1:43-scale models of the powerpacks driven by Mathias Lauda, Paul Di Resta, Susie Stoddart, Daniel La Rosa, Gary Paffett and Alexandros Margaritis. 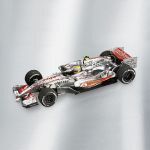 For Formula-1 enthusiasts there are also 1:43and 1:18models of the McLaren MP4/22 driven by Lewis Hamilton. 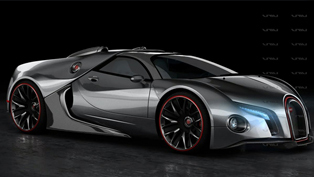 Other model cars available include the sporty road-going version of the C63 AMG and the CLK DTM AMG as a coupe and convertible.